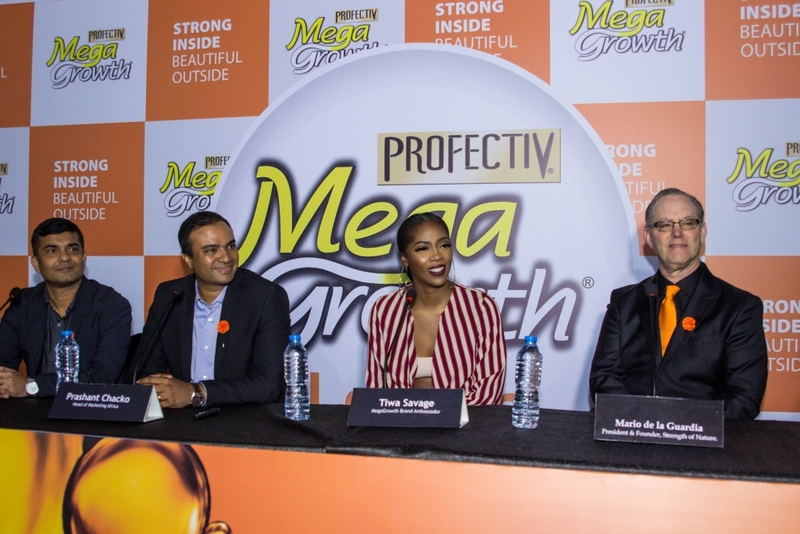 Profectiv MegaGrowth, an iconic brand from the Strength of Nature family which has a stellar history of providing exceptional and effective hair care products for African women across the globe, has launched operations in Nigeria. The launch which was made possible through Godrej Nigeria Limited, a leading Nigerian FMCG company, is in its continuing endeavour to celebrate Nigerian women and provide world-class hair solutions with the innovative Crème on Crème No lye relaxer which offers superior hair manageability at accessible prices. 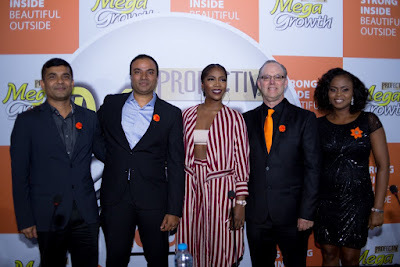 Profectiv MegaGrowth announced Tiwa Savage, the award winning Nigerian Musician as its brand ambassador and also unveiled its first ever TVC starring her. The Nigerian icon epitomizes the attitude and confidencethat is synonymous with the brand. Excited to be part of this association, Tiwa Savage said “I am thrilled to be associated with MegaGrowth, a brand that is loved across the entire African continent. The team at Profectiv MegaGrowth are true hair experts who understand the importance of hair for African women. I admire thefact that this brand celebrates Strong and Beautiful women”. 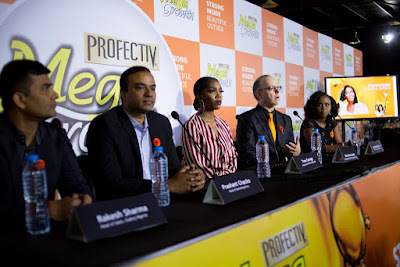 During a press briefing held in Lagos, Mario de la Guardia, President and Founderof Strength of Nature said, “Our vision and commitment is to provide the highest quality, most innovative hair care products that meet the diverse needs of our consumers worldwide. While we have made significant strides in achieving this vision in the US, our strategic global partnership with Godrejrepresenting our brand provides us with a unique opportunity to better serve the huge number of potential consumers outside the US, especially in Africa. The synergies between our strong US platform and Godrej's African footprint are compelling, as is our shared commitment to excellence and innovation for the betterment of our employees, consumers and communities." Profectiv MegaGrowth was introduced to the press at a Landmark Event Centeron Saturday, September 9th, 2017, after which a launch party was held at the same venue. 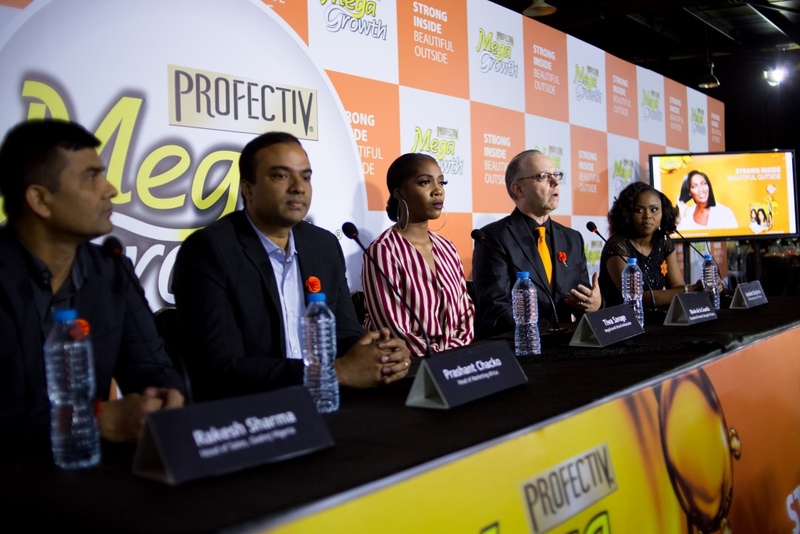 Panelists at the conference includedPrashant Chacko (Head of Marketing - Godrej Africa),Mario de la Guardia (President & Founder - Strength of Nature),Tiwa Savage (MegaGrowth’s Brand Ambassador), Ayodele Otujinrin (Marketing Manager - Godrej Nigeria) andRakesh Sharma (Head of Sales- Godrej Nigeria).